We have already said it on several occasions, “the branded content is not to sell, is to connect”, in other words, it is about presenting the brand in a context of connection with the consumer (pull) and not of interruption (push) disturbing the target. Its added value is a turning point, we left behind the goal of selling to focus on generating engagement with our audience. We seek to empathize with it, in a natural, relaxed, useful and practical way. 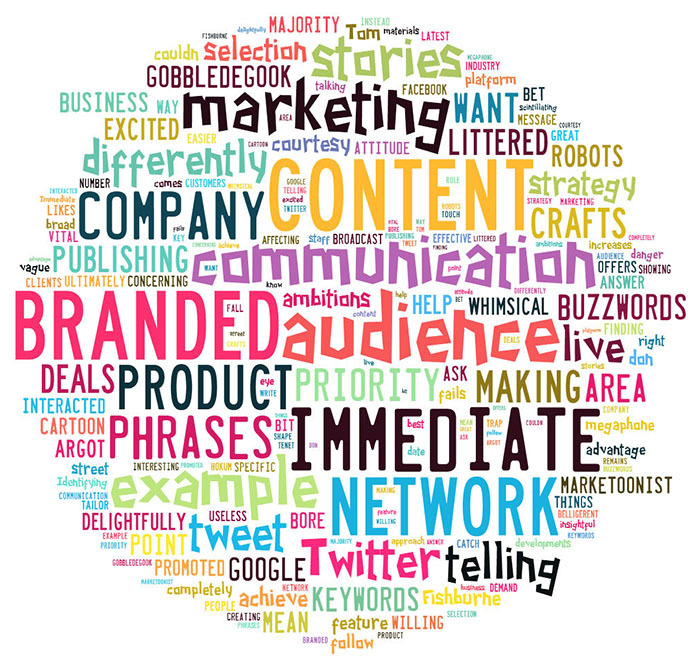 How to make a good branded content strategy? To implement a branded content strategy we have to know: what is it, what is its goal, what are its formats, how can we measure the branded content strategy and its benefits. But above all, we have to know its ecosystem (brand value – audience being addressed). 1) “The Hygge, a very natural couple”, a docu-reality sponsored by Arla and distributed by La Sexta. It´s based on Danish philosophy that everyday-life’s small pleasures are what makes us feel good. Consumers associate them with the brand. 2) ‘Hope’, the medical advances that will change our lives. A documentary by Quiron Salud that transmits interesting content in a pedagogical way. • Books and specialized blogs: The books usually have been sponsored by the company or brand, however in blogs sometimes there have been more independence. This format have more interest by the brands, because it uses a content more differential, useful and closer to its audience. 1) #Mimáquinadeltiempo, a microsite of branded content by Aegon, it allows users to travel in time through the past, present and future to discover how have changed the things that leaved their mark in history. In these contents there are experts and influencers in each of the topics such as historians, economists, journalists, companies, NGOs or associations. • Advergaming: Possibly the most interactive format, whereby the company or brand seeks to impact and mix more directly with millennials. 1) Asusbattle: With the framework of the Xakata awards and the Social Media, the strategy was focused on achieving notoriety for the brand, generating a surprising effect to the attendees and at the same time leave its mark on twitter through the game called ASUSBATTLE. Two robots that symbolized each line of products faced each other in a fighting game inspired by classic games like Street Fighter, using social media. • A&Q: Although it is the most traditional format it has also evolved to use new tools to make more real, entertaining and different consultation, such as chatbots. 1) Unminutocontufuturo, a chatbot in which the user can chat with his future self, discover what is the future holding for him, and find out about Abanca’s pension plans. • Influencers: This is one of the most used formulas by brands from different industries. Influencers become a new ally due to their reach and their large number of followers. 1) #Smartlovers, an initiative of Mercedes-Benz Spain helped by influencers like Paula Echevarría, it brings together a community of Smart cars owners who feel identified with the values and share the philosophy of urban life. • Branded Journalism: This is about communicating through the journalistic articles the benefits of a product / service without mentioning the brand to get an informative and pedagogical content that positively impacts the target. 1) EmpresaActual.com, a pioneer site in Spain of B2B branded content. A platform that allows the company to go beyond generating a true link with professional users based on usefulness and content value.